The Extra Canon BP-A60 Battery provides approximately 90 Watt hours of power. It has a small push button that shows how much power is left. It is compatible only with the Mark II versions of the C300 and the C200. Please see the notes tab for more details on compatibility. • This spare battery does not come with a spare charger. 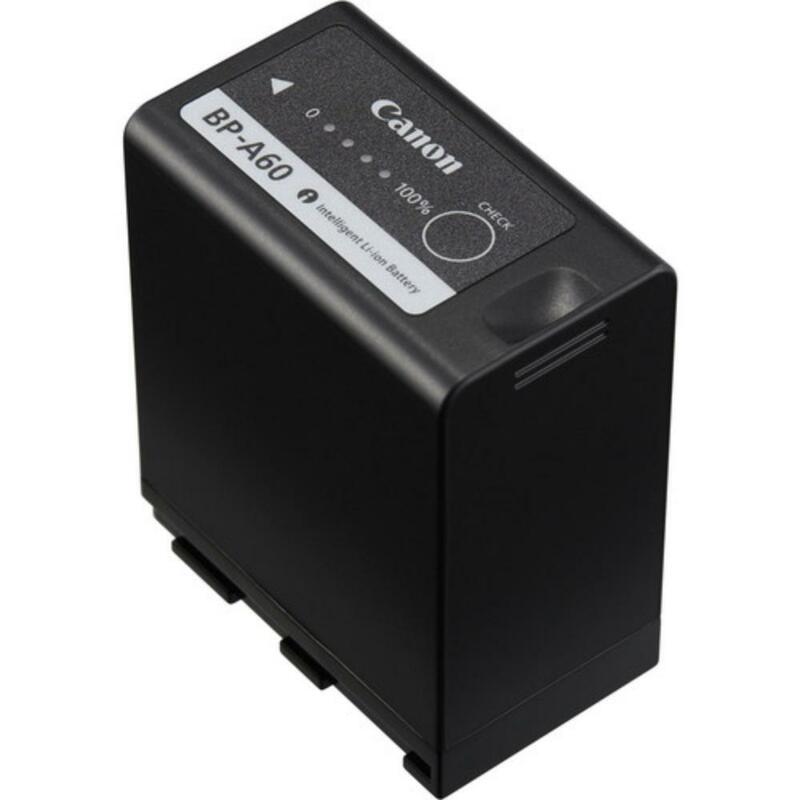 • This spare battery is not compatible with the C300 EF or C300 PL. Spare batteries for the original C300 can be found here.